Our strong and long-standing reputation in this area of law is recognised by both Chambers UK and Legal 500 directories, which rank us as leaders in Public & Regulatory law. BWB's Public & Regulatory law team, headed by Melanie Carter, provides practical and strategic advice and representation for its clients. We have extensive experience in a wide variety of public and regulatory law cases, acting for both regulators, charities/not-for-profit and private-sector organisations and individuals. Our experience on both sides of the fence makes us uniquely placed to offer effective advice to all our clients. We are an exceptionally experienced team dedicated to our clients’ interests and are particularly proud to be rated as one of the best firms in the UK for our client service. I have always found their service exemplary. I have never had cause to question their advice, they are always accessible, the advice is timely and always provided in a format to suit me. In short, they are customer focused, affable and professional." We aim to give all of our clients strategic and practical advice as well as assistance and representation on purely legal matters. We are approachable and will tailor our advice to your specific situation and your budget. We also act for businesses, campaigning groups and individuals who wish to challenge the decisions of public authorities or need advice in relation to any public law or regulatory issue. 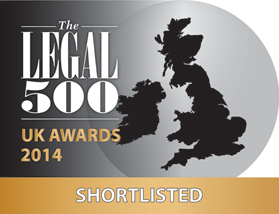 BWB is delighted to have been one of five nominees for a Legal 500 Award in the category Public Sector. Following last year's successful series, the BWB Breakfast Serial is back by popular demand to distil the expertise of our sector-leading lawyers into eleven bitesize seminars.